John Slate - Atlantic Yacht & Ship, Inc. : Atlantic Yacht & Ship, Inc.
Beginning in the early 90’s John got his start in the shipyard business at Roscioli Yachting Center. Working his way through the ranks while learning the business, John was Warehouse operations manager then moved into the purchasing directors position, director of HR, job estimator, project manager, and ultimately General Manager. While running the daily operations of the facility as general manager, John had 65 technicians, 12 foreman, and 8 office staff he directed on a daily basis for nearly 10 years. While overseeing the yard operations, John also played a strong role in the construction and completion of the Donzi sport fishing line which is a custom fishing boat still manufactured today from 58—80’. John also received his brokerage license during this time where he sold many boats which were traded into the manufacturing side of the business. Departing after 20 years of service to begin his own brokerage firm, John was approached by Zeelander to run their U.S. operations and get the company back on track. John accepted the position and set up a service program to regain the trust of all customers, oversaw the completion of six hulls remaining at the U.S. manufacturing facility, set up sales to relieve the company of excess inventory, and oversaw the move of production back to Europe. 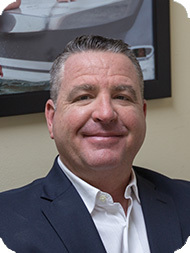 Currently, John is CEO of 84 Marine which specializes in Project Management of yacht refits and has an active brokerage license he hangs with Atlantic Yacht & Ship.